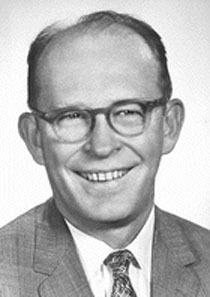 American chemist Willard F. Libby won the Nobel Prize for Chemistry in 1960, for introducing a dating methodology using radioactive carbon-14, a long-lived, natural beta-emitting radioisotope emitted in minute quantities by all living things. Libby's system uses chemical analysis to determine the age of organic materials based on carbon-14 content. To measure carbon-14 in ancient materials, Libby and his team spent about three years, 1946-49, developing extremely sensitive Geiger counters, which needed to be extremely well-shielded to eliminate interference from background radiation. First tested and calibrated with material found in 4,000-year-old Egyptian tombs, carbon-dating has been used on progressively older and older relics, and has become an extremely important tool for anthropologists, archaeologists, geologists, and other earth scientists. Carbon-14 dating is now believed to be accurate for finding the age of materials up to 70,000 years old, with a margin of error of about ten percent. Libby was the son of farmers, played tackle on his high school football team, and paid his college tuition by working on a California fruit ranch, where his job was to nail together wooden crates of fresh-picked fruit. During World War II he worked under Harold C. Urey on America's then-secret Manhattan Project to develop atomic weapons, and showed that cosmic radiation produces tritium. He remained a lifelong proponent of nuclear bombs, offering advice summarized in a glowing 1955 profile in Time magazine as "Let's build them as big as we can, and build all we can. Then war will become inconceivable." He also studied hot atom chemistry, isotope tracer work and other tracer techniques, and the use of natural tritium in hydrology and geophysics, and served for several years on the US Atomic Energy Commission, where he advocated peaceful uses for atomic energy. His second wife, nuclear physicist Leona Woods, was the top woman to work on the Manhattan Project. His friends and more daring students called him "Wild Bill". Time, 15-Aug-1955, captioned "AEC's Willard Libby"